Got a little work done on the boat this week. Plan to work on it until Mid-June when I leave for Maine. 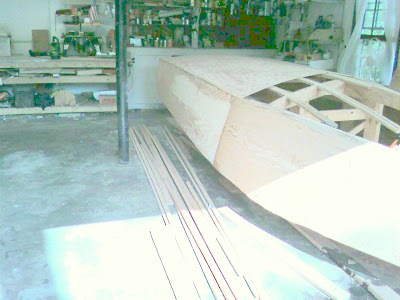 I’ll post a big update then to show you my progress — I hope to finish the bottom and flip the boat over before I leave. People sometimes ask me why I don’t work on the boat during the semester. 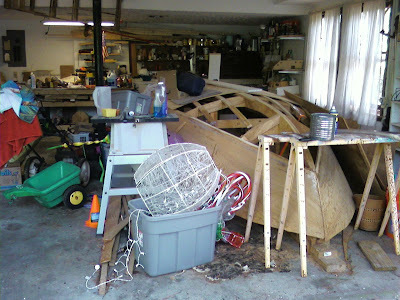 Well, in addition to being busy with schoolwork (both teaching and taking classes), there’s one other major impediment: my garage is typically a mess. And now I’m ready to devote some serious time to the project!